Staying at the County Hotel, in Chelmsford, you are just a couple of minutes’ walk from the centre of this historic county town and less than 5 minutes’ walk from Chelmsford train station; Chelmsford was granted city status by The Queen in 2012 and lays claim to the second smallest cathedral in England. Beautifully restored Hylands House and Park, just to the west of the city, is open to the public throughout the year. 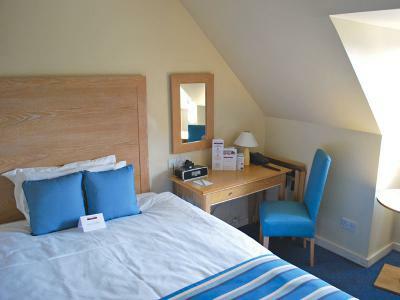 The County Hotel offers you bright, contemporary rooms with free Wi-Fi and HD TV. 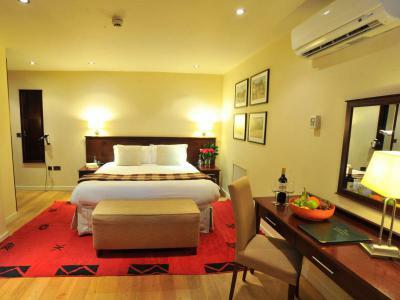 Fully air-conditioned Premium rooms are luxurious in style and extra spacious – both sitting and work areas feature. Dining in the hotel’s acclaimed Samphire Restaurant, you can enjoy modern European dishes topped off with freshly brewed coffee and petit fours. Or perhaps you’d prefer a scrumptious afternoon tea on the south-facing terrace? Essex County Cricket Club and Great Leighs Racecourse are among the many attractions at your doorstep. Bond Street Chelmsford is the shopping destination within walking distance; Lakeside and Bluewater are within 30 minutes’ drive. You can reach London Liverpool Street in 32 minutes – a direct route from Chelmsford train station. Once known as the ‘market-place of Caesar’ (the Romans arrived here in 60 AD), discover the secret heart of Essex for yourself. Contemporary in style, all bedrooms feature everything you need for a great night's sleep. Plus, there's free Wi-Fi when you want to go online and HD TV (Freeview) when you want to relax at the end of a long day. Luxurious premium rooms offer spacious comfort, with enhanced décor and amenities, including air-con. and a welcome tray with fresh milk, mineral water, seasonal fruits, and extra nibbles. Room service is available. Wake up inspired. Wake up with Classic British Hotels. 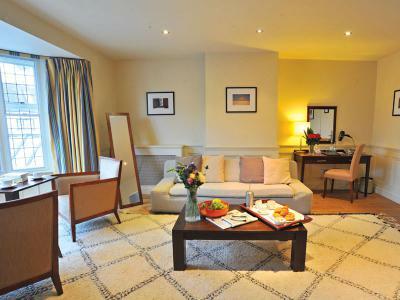 We say: These rooms are small but perfectly formed for one person. They’re great value for a night away: Contemporary style en suite bedroom, 161 sqf, offering free Wi-Fi, satellite TV (HD, Freeview), digital radio, iPod docking station, laptop safe, writing desk, direct dial telephone, alarm clock, ironing station, tea and coffee making facilities, toiletries, hairdryer, and key card access. Single bed. Accessible? These rooms are split between the first and second floors, which are accessible by lift. Single rooms have showers only. We say: These rooms are comfortable and well-equipped. They have both work and seating areas: Contemporary style en suite bedroom, 194 sqf, offering free Wi-Fi, satellite TV (HD, Freeview), digital radio, iPod docking station, laptop safe, writing desk, direct dial telephone, alarm clock, ironing station, tea and coffee making facilities, toiletries, hairdryer, and key card access. Double bed. Accessible? These rooms are split between the first and second floors, which are accessible by lift. Standard rooms have a bath and a shower; many walk-in. Some rooms include amenities such as grab rails and pull cords. We say: These rooms are comfortable and well-equipped. They have both work and seating areas: Contemporary style en suite bedroom, 194 sqf, offering free Wi-Fi, satellite TV (HD, Freeview), digital radio, iPod docking station, laptop safe, writing desk, direct dial telephone, alarm clock, ironing station, tea and coffee making facilities, toiletries, hairdryer, and key card access. Twin beds. Accessible? These rooms are split between the first and second floors, which are accessible by lift. Standard rooms have a bath and a shower; many walk-in. Some rooms include amenities such as grab rails and pull cords. 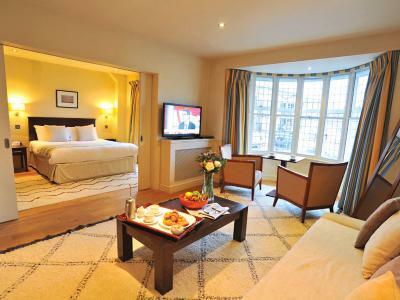 We say: These rooms are spacious and airy, offering a high level of comfort and style. Enhanced amenities feature in premium rooms: Contemporary style en suite bedroom, 269 sqf, offering free Wi-Fi, air-conditioning, satellite TV (HD, Freeview), DVD player, digital radio, iPod docking station, mini bar (charged; stocked on request), laptop safe, writing desk, direct dial telephone, alarm clock, ironing station, tea and fresh coffee making facilities, biscuits, nibbles, bowl of fruit, jug of milk, mineral water, bathrobes, toiletries, hairdryer, and key card access. King-size bed. Accessible? These rooms are split between the first and second floors, which are accessible by lift. Premium rooms have a bath and a shower, most of which are walk-in. 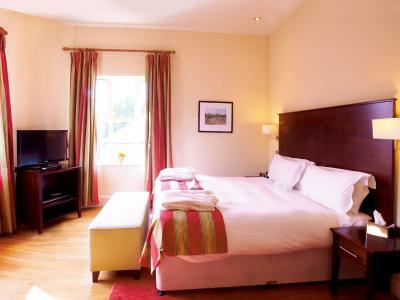 We say: These rooms are spacious and airy, offering a high level of comfort and style. Enhanced amenities feature in premium rooms: Contemporary style en suite bedroom, 269 sqf, offering free Wi-Fi, air-conditioning, satellite TV (HD, Freeview), DVD player, digital radio, iPod docking station, mini bar (charged; stocked on request), laptop safe, writing desk, direct dial telephone, alarm clock, ironing station, tea and fresh coffee making facilities, biscuits, nibbles, bowl of fruit, jug of milk, mineral water, bathrobes, toiletries, hairdryer, and key card access. Twin beds. Accessible? These rooms are split between the first and second floors, which are accessible by lift. Premium rooms have a bath and a shower, most of which are walk-in. 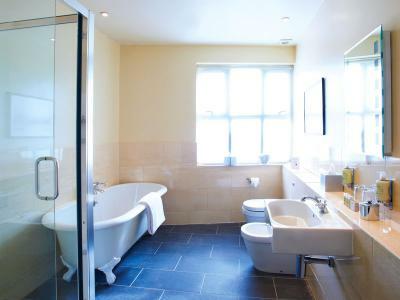 We say: The best room in the house - two interconnecting areas: the first consists of a king-size bedroom with fitted wardrobes and a large en suite bathroom. The second includes a reception area and a lounge with a sofa bed. Contemporary style suite, 328 sqf, offering free Wi-Fi, air-conditioning, satellite TV (HD, Freeview), DVD player, digital radio, iPod docking station, mini bar (charged; stocked on request), laptop safe, writing desk, direct dial telephone, alarm clock, ironing station, tea and fresh coffee making facilities, biscuits, nibbles, bowl of fruit, jug of milk, mineral water, bathrobes, toiletries, hairdryer, and key card access. Separate seating area. King-size bed. Accessible? This room is on the first floor and features an accessible entrance, a bath and a walk-in shower. Exit the M25 at junction 28 to join the A12 towards Brentwood/A1023/Chelmsford. Follow the A12 and exit at junction 15 to Chelmsford. Take the 1st exit at the roundabout onto the A414. At the next roundabout, take the 2nd exit onto London Road (Tenpin Bowling Alley will be on your left). Enter Widford roundabout and take the 1st exit onto Westway, signposted Widford Industrial Estate. Go straight through 3 sets of traffic lights (follow signs for Broomfield Hospital A&E, Civic Centre and West End). Westway becomes Waterhouse Lane; Waterhouse Lane becomes Rainsford Lane. As you go through the 3rd set of traffic lights, take the left-hand fork - there are 2 lanes that go off to the left, stay in the right-hand lane. Head straight over to another set of traffic lights. Turn right, signposted Railway Station/West End, and the hotel is on your right. Depart from Stanstead Airport on Bassingbourn Road. At the roundabout, take the 1st exit onto Bassingbourn Road. At the next roundabout, take the 2nd exit and again at the next roundabout. Bear left onto the slip road and continue onto the A120. Exit onto the slip road and turn left onto the A130. At the roundabout, take the 1st exit onto Essex Regiment Way/A130. At the next roundabout, take the 3rd exit onto Braintree Road/B1008. Continue onto the B1008. At the roundabout, take the 1st exit onto the Main Road/B1008. Bear right onto Parkway/A138. Turn left onto Rainsford Road. The hotel is on your left. The acclaimed Samphire Restaurant serves up an elegant fine dining experience. With its oak floors and summery pastel hues, it is the perfect place to enjoy uncomplicated European cooking in a modern style. Using only the best of British seasonal ingredients, and where ever possible locally sourced produce. Start with carpaccio of beef fillet with rocket, shaved parmesan, pine nuts and truffle oil. Mains might bring roasted rack of Essex salt marsh lamb and confit shoulder croquette, with potato dauphinoise, sprouting broccoli and red currant jus. For dessert, perhaps you'd prefer salted caramel chocolate fondant with pistachio ice cream and toasted cocoa nibs, or the best-loved warm raspberry Bakewell tart. Discover Samphire's signature selection of wines available by the glass, too; the Godello grape, under its white wines, is our firm favourite. In the summer, dining at the County Hotel reveals an altogether different flavour. Take a seat in the fresh open air – sunny or shade – and dine al fresco. The lounge bar opens out onto the south-facing terrace where you can enjoy a chilled glass of signature white wine from Monterrei, in north-west Spain, with Continental meats, olives, cheeses, chutney and toasted sourdough bread. Don’t miss the opportunity to indulge in afternoon tea whilst staying in this glorious setting - savour homemade scones with fruit preserve and cream, sandwiches, cakes and a pot of tea. Both traditional afternoon tea and champagne afternoon tea are available to order and can be enjoyed in the Samphire Restaurant or lounge bar. Afternoon tea can be booked in advance, at a special price, when booking your room via ClassicBritishHotels.com. The unique surroundings of the County Hotel present a wonderful setting for private dinners and celebrations. The hotel caters for reunions, anniversaries, family gatherings, birthday parties, charity and club events, and business dinners. Call Classic British Hotels on 0844 967 0984 for advice and let us help you organise a memorable private dinner. RHS Garden Hyde Hall is a horticultural gem in the heart of Essex with the rolling hills as a backdrop. The 360-acre estate is constantly evolving - major strategic investment over the next couple of years will see the installation of a new winter garden, global growth vegetable garden, big sky meadow, a state-of-the-art learning centre, and a redesigned visitor centre. Hyde Hall comprises numerous garden areas, but it is famed for its iconic dry garden - a Mediterranean-style outcrop that showcases drought-tolerant plants and is home to more than 400 different species. The city's new open-air shopping destination serves up brands, dining and entertainment galore. A John Lewis department store offers a full product range; from beauty and fashion, to household and electrical. There's a strong emphasis on fashion brands, including The White Company, Joules, Oasis, Jack Wills, Cath Kidston, Accessorize, Fat Face, and White Stuff. At Bond Street, you can wander into Foyles bookstore, grab a bite to eat in Brazilian specialist Las Iguanas, or catch a film in the luxe high-spec Everyman cinema. The second smallest cathedral in England, Chelmsford Cathedral is also one of the youngest. It makes up for its size and inexperience with its appetite for art - it is one of the leading cathedrals for ecclesiastical art in the country, featuring sculpture, etchings, icons, and paintings. Unusually for a cathedral of this size, there are two organs linked together so that they can be played at the same time. This beautifully restored Grade II* neo-classical villa set in a 574-acre parkland estate dates back to 1730. Originally built as an elegant red brick Queen Ann-style house, successive owners have extended and remodelled the building according to their personal tastes. Today, visitors can marvel at the exquisitely gilded drawing room and the sumptuously ornate banqueting room, and enjoy stunning views over the landscaped parkland from the Repton room, named after famous landscape architect Humphry Repton, who was employed to redesign the gardens in the late 18th Century. The extensive grounds include formal pleasure gardens, woodlands and an adventure castle play area. Open: Mon-Sun 07:30-various. Please check website. The County Hotel features 5 purpose-built conference suites, including a large ballroom with a self-contained bar and staging area. 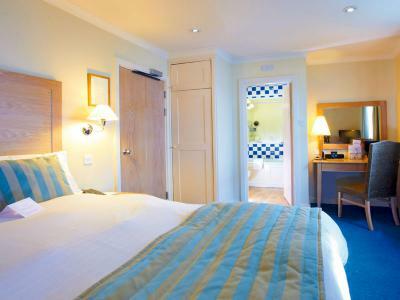 Four rooms are located on the ground floor and all five have full disabled access. 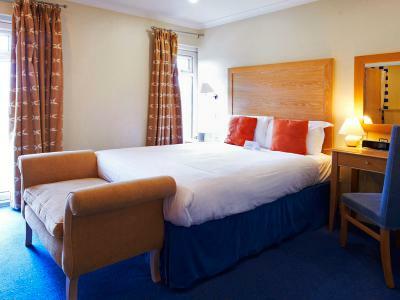 Ideally situated less than 5 minutes' walk from Chelmsford train and bus stations, and easily accessible from junction 8 of the M25, the A12, A130 and the A414, the hotel offers ample free parking, with 80 spaces on-site.